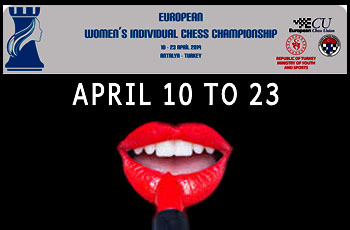 The European Individual Women’s Championship is taking place as I write in Antalya,Turkey and will continue until the 23rd. An 11-round Swiss, the tournament also serves as a qualifier for the next Women’s World Cup. A total of 14 players can qualify. First prize is 10,000 euros. 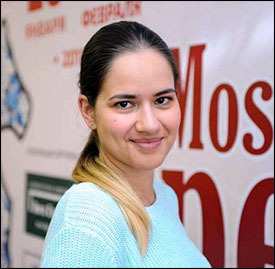 While I think that women chess players are just as capable and just as talented as their male counterparts, many find women’s chess more competitive and ‘spectator-friendly’ than men’s chess. Fewer draws most definitely. More risk taking. Misha Tal would certainly agree! Here is a small sample of what I mean. Enjoy! First the speculative sacrifice on h6 (which should have been accepted!) and then the second wave of attack which proved decisive. Ouch! 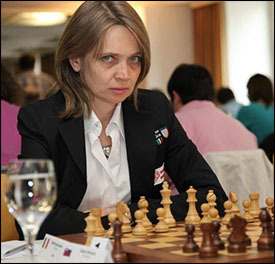 Pia Cramling rarely loses to such a blitz-like attack. A crushing loss for the former vice-champion of Europe! Sabrina tried to get a counter initiative on the Kingside to keep the balance, but the Russian’s attack was faster. And unstoppable. Something definitely went quickly very wrong in the opening for Cornette, probably overlooking the tactic against her Queen. The punishment was swift and painful. READ HD-Bank Tournament up and running! Next story Ivanisevic is 2019 Serbian Champion!